A couple of months ago, Brennen started going through what we thought was a phase of fussiness - irritability, fatigue, and at times just being a bit of a jerk. I know, that sounds harsh, but that's really what it seemed like. He had become a terrible teenager. For several weeks, he was difficult to settle and just wasn't his happy ol' self. Also around this time, it seemed like he was having more seizures than usual, mostly at night, and they were bigger, lasting longer than normal, and they were scarier for us. 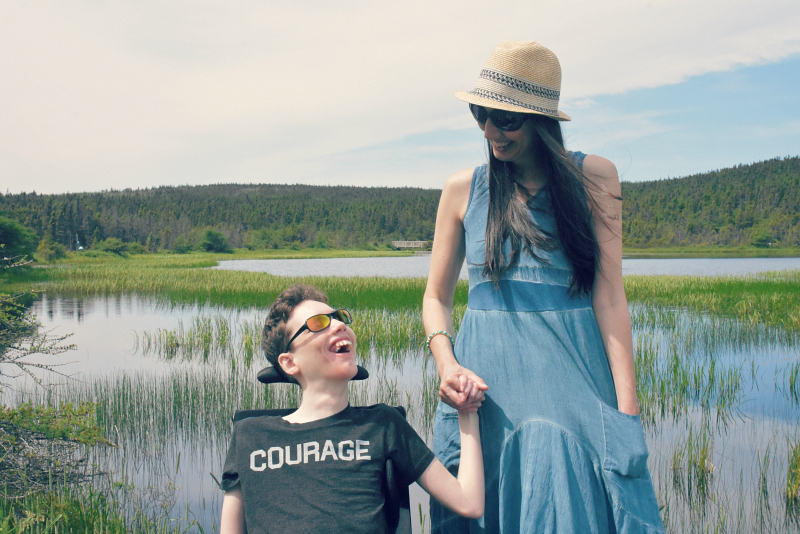 Brennen has always had seizures, and we have tried a number of different medications over the years, but they have never really been well controlled. Around the end of May, we made an appointment to see our pediatrician, just to have him looked at and to rule out anything really serious. Of course, any time Brennen shows signs of discomfort, our first thoughts go to his back or his hips. He has had some major work done inside his little body, and I have a constant fear that something is going to go wrong with the instrumentation one of these days. Andrew and I are always checking for protruding rods and screws, and while we have been assured that everything is where it's supposed to be, I know that things can slip. His x-rays that day looked good, so there was no issue there, but we got in to see the orthopedic surgeon just in case. While chatting with us, she noticed that Brennen was making some slightly unusual eye movements, and she questioned whether or not this could be seizure activity. She ordered an EEG, and we rushed over to have that done right away. Andrew and I sat with Brennen for over an hour and watched as his brain's electrical activity was recorded on the monitor. Brennen was also under video observation, so that when the EEG and his recorded behavior were displayed simultaneously, correlations could be made between recorded events and any accompanying electrographic changes. Sounds wild, but it was fascinating to watch! The results showed that Brennen was having more seizures than we realized. Like, a lot more. We can obviously recognize when he has a grand mal (generalized tonic-clonic) seizure, but some of the changes that were picked up on the EEG were so subtle, we would never have recognized them as seizure activity. It was shocking for us to learn that these seizures were happening so frequently, and it breaks my heart to know that Brennen had been suffering through that for so long without us realizing. On that day in May, Brennen was given a new diagnosis of Lennox-Gastaut syndrome - a rare and often debilitating form of childhood-onset epilepsy. Lennox-Gastaut is characterized by multiple types of seizures, moderate to severe cognitive impairment, and an abnormal EEG with slow spike-wave complexes. This makes for one of the most difficult forms of epilepsy to treat. Brennen has what is also known as intractable epilepsy - a seizure disorder in which a patient's seizures fail to come under control with treatment. We have increased Brennen's seizure medication, and that seems to have helped things a little, for now. Giving his brain a rest from so much seizure activity has made him sleep better at night, and as a result, he is happier during the day. Seizures have become a regular part of our lives, and I almost hate to say it, but we have sort of gotten used to them. 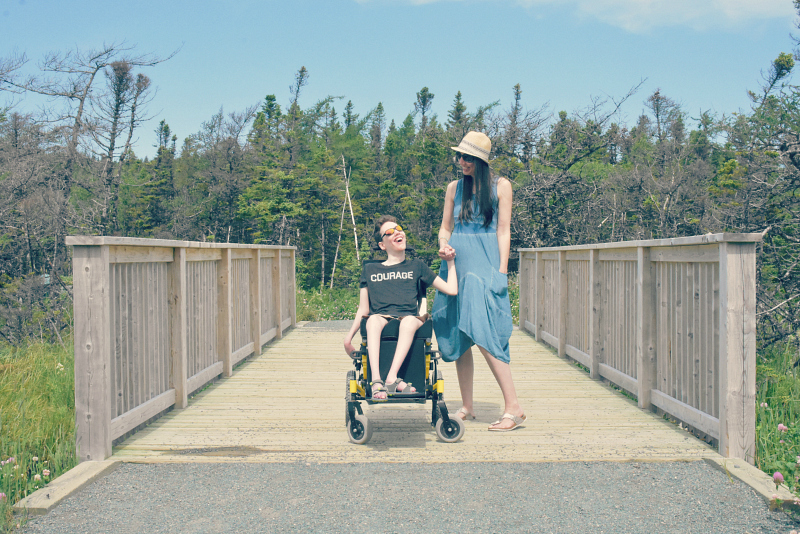 Up until recently, we just accepted that they were part of Brennen's diagnosis - cerebral palsy often comes with a seizure disorder - and we would have to live with that. Now, when I look up Lennox-Gastaut syndrome, I see things like "rare and catastrophic epilepsy" and "diminished quality of life". "Reduced life expectancy" is mentioned there as well. This condition comes with an increased risk of SUDEP - Sudden unexpected death in epilepsy - also referred to as a fatal "complication" of epilepsy. While we may have gotten used to the seizures, I won't ever get used to the fact that my child has to suffer and fight for his life on a regular basis. There are still many nights that he wakes up having a seizure, and even when he doesn't, I find myself running to his bedside to make sure he is breathing and that he is still with us. Brennen has taught me many things over the years, perhaps most of all, to be grateful. I am grateful for every moment shared with him, and for every precious memory made together. There are times when I struggle to find peace, happiness, and the "good" amid the challenges. It isn't easy, but I am grateful for all that I have. Brennen is a blessing. His life is a glorious gift, and I am nothing but grateful.